13 days from £2190pp plus international flights. This truly classic India holiday takes in all the most famous sites in northern India. India holidays are many and varied, but this one is a classic. It is ideal for a first trip to the subcontinent as you visit all the well known places of the 'Golden Triangle', that's Delhi, Agra and Jaipur, as well as including the wildlife of Ranthambore, the rural charm of Samode and the awe-inspiring holy city of Varanasi. This trip will give you a real insight into the life and culture of northern India as well as leaving you with some outstanding memories. Arrive at Delhi airport where you will be met and transferred to your hotel. The rest of the day is free for you to relax after your journey. 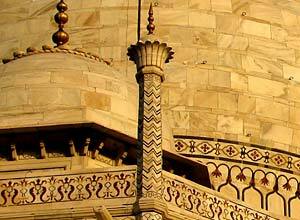 Today you have a full day guided tour of both old and new Delhi. 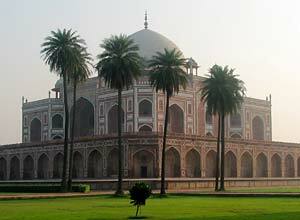 The tour should take in such sites as The Red Fort, Jami Masjid, markets, New India Gate, Humayun's Tomb and the Qutub Minar. You might also be able to have a rickshaw ride in Old Delhi. 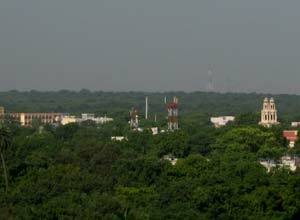 This morning you will be driven to the attractive walled town of Samode which is about 4 hours from Delhi. Having checked in to your hotel the rest of the day is free. Maybe venture into the town and â€‹explore the old houses and winding streets or take a stroll in the hills around the hotel. The morning is at leisure for further exploration or maybe just relaxing the hotel's grounds, or swimming in one of the two pools. 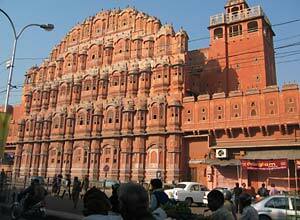 Later you have a one hour drive to Jaipur, the famous Pink City, the capital of Rajasthan. This morning you travel a little way out of the city to the impressive Amber Fort. Outwardly imposing, inside the fort is ornate, with walls decorated with murals, frescoes, and paintings or covered with intricate carvings, mosaics and elaborate mirror work. We return to Jaipur for a guided tour of the city. 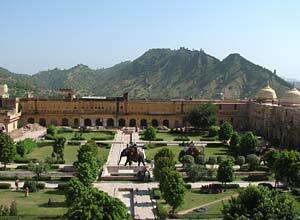 Highlights include the palace museum, Sawai Jai Singh's fascinating observatory Jantar Mantar and the beautiful Hawa Mahal or Palace of Winds. 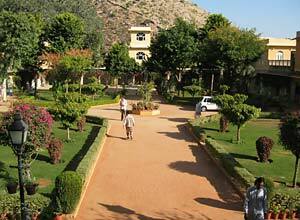 We leave the hotel after breakfast for the 4 hour drive to Ranthambore National Park, arriving in time for lunch. In the afternoon you have your first game drive in the park. This is one of India's most famous tiger parks. Originally a hunting ground of the Maharaja of Jaipur, it was declared a wildlife sanctuary in 1957 and in 1981 achieved the status of a National Park. You have morning and afternoon game drives in the National Park. As well as the tigers you can see leopard here and a host of other species including sloth bear, deer and antelope -in particular you see chital (spotted deer), chinkara (Indian gazelle), and nilgai (blue bull). There are some very large crocodiles in the lakes which can be seen basking on the banks. 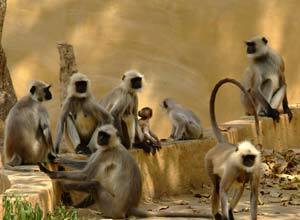 And of course there is no shortage of langur monkeys. This morning you will set off for your final game drive in Ranthambore. Later you depart for the station and the train to Bharatpur. You will bet transferred to Agra via the ancient city of Fatehpur Sikri. 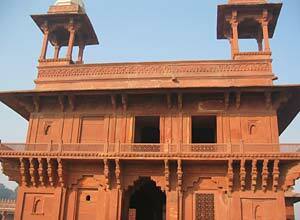 This red sandstone ghost town dates back to the 16th century, designed as the Mughal capital. It was occupied for only 14 years, due to the water supply being inadequate. Today it is a perfectly preserved masterpiece of Mughal glory. On arrival in Agra check in to your hotel. We arise early today and visit the Taj Mahal at sunrise - one of the best times to view this iconic monument. After returning to the hotel for breakfast, we will take you on a guided tour of Agra Fort and the Baby Taj. The afternoon is free. In the evening transfer to the station for the overnight train to Varanasi. Your train is scheduled to arrive early morning and you will be taken straight to your hotel. The rest of the morning and afternoon is free for you to relax or explore as you wish. 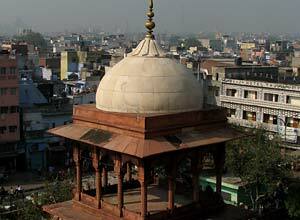 Varanasi is purported to be the oldest continuously inhabited city in the world. It is also one of the most important pilgrimage sites in India. 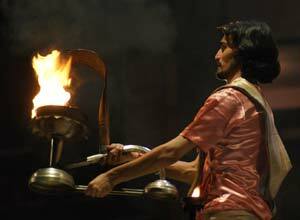 In the evening take a boat ride to the ghats to view an aarti service which blesses the Ganges. 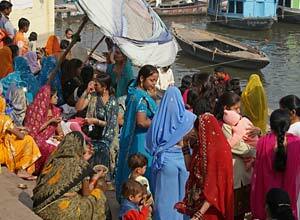 You have an early morning boat ride on the sacred Ganges River, when you witness the city come to life. Later you have a tour of the city, taking in some of its famous temples. In the afternoon, we take the short drive to Sarnath, one of the most important Buddhist sites marked with a large stupa and an Ashoka pillar. Although few of Varanasi's population are Buddhist, Sarnath attracts pilgrims from many Buddhist countries including Japan and Sri Lanka. The morning is at leisure giving you more time to stroll around the ghats and alleys of the old town. Alternatively relax at the hotel and enjoy the view from the roof terrace. In the afternoon you will be transferred to the airport for the short flight to Delhi. On arrival you will be met and taken to your hotel. This morning you will be transferred to Delhi airport where you connect with your ongoing arrangements. Price notes: 2019/20 prices based on 2 sharing includes domestic flights but excludes international flights: Up to Mar 2019 from £2505. 01 Apr - 30 Jun 2019 from £2190. 1 Oct 2019 - 30 Apr 2020 £2864. Accommodation on twin share basis; meals as specified; all transfers, sightseeing and excursions as per the itinerary in an exclusive chauffeur driven air-conditioned car; English speaking guide for the sightseeing; entrances for all the monuments as per itinerary; train Rantahmbore to Bharatpur and Agra to Varanasi; flight Varanasi to Delhi. International flights; departure taxes; visas; travel insurance; meals not specified; camera fees; items of a personal nature; tips. The tour starts and ends in Delhi. Return flights from the UK start from around £400 per person, depending on season and avalability. Departure dates: This private tailor made trip can be arranged for you at any time you want to travel. 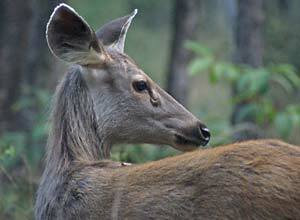 Ranthambore is the most accessible and most famous tiger park. It has interesting ruins dotted throughout (including a 10th century fort), as well as an excellent variety of wildlife and birds. Tigers are frequently seen here and it makes an excellent tiger safari destination as part of a wider Rajasthan tour. 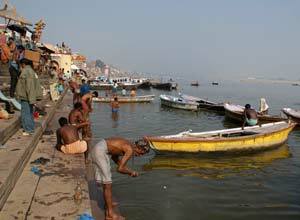 Varanasi is said to be the oldest continuously inhabited city in the world. Situated on the banks of the sacred Ganges River, it is one of the most important pilgrimage sites in India.